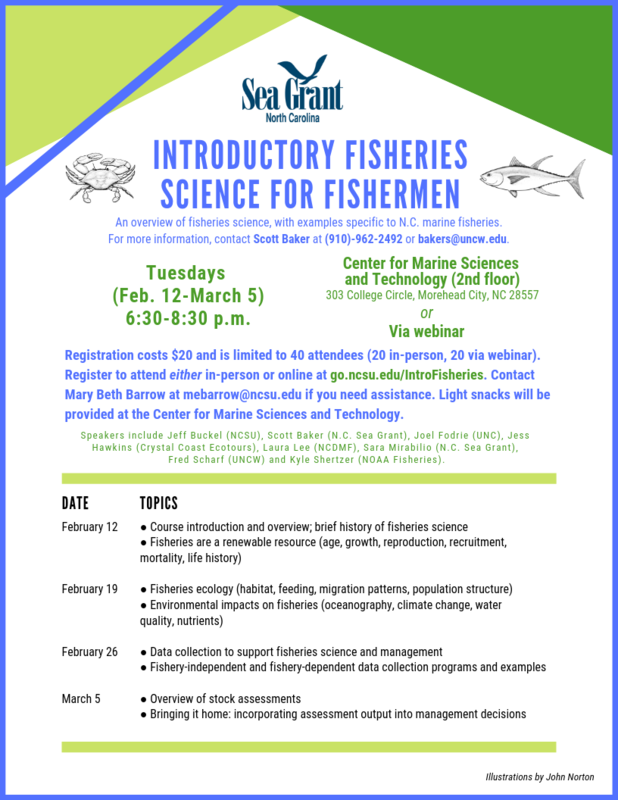 Introductory Fisheries Science for Fishermen will run Tuesday nights from Feb. 12 through March 5, from 6:30 to 8:30 P.M. Participants can attend classes at NC State’s Center for Marine Sciences and Technology in Morehead City or take the course as a webinar online. Read Baker and Mirabilio’s popular new blog, Hook, Line & Science.